Hire a private jet and fly to Amsterdam, capital of the Netherlands and the country’s financial, cultural, and creative center. Amsterdam is also the aviation hub of Holland, and its wealth of five-star hotels make it a popular destination for executive jet charter flights as well as private leisure flights. Chartering a private jet into (EHAM, AMS) Amsterdam Schiphol Airport is the best way to get there, and our team at Air Charter Advisors offers the highest standards in executive and leisure travel. Our team provides on-demand private jet charter service to/from Amsterdam, and with access to thousands of private aircraft around the world, we’re confident we can arrange the right aircraft for your trip, whether you’re flying internationally or domestically. Our private jet charter brokerage is Wyvern-certified, and all of the planes we use for flights to Amsterdam and the rest of Holland are operated by FAR Part 135 (or foreign equivalent) operators. We’ve worked with a distinguished list of clientele ranging from royal family members, heads of state and corporate executives to famous celebrities, personal assistants and affluent leisure travelers from around the world. Let Air Charter Advisors be your local and global aviation solution for luxury air travel, aircraft acquisition and private jet management, and enjoy the peace of mind you get from working with a private aviation company you can trust. If you’d like to find out more about our prices, request a quote to the right or give us a call to discuss your luxury private flight to Amsterdam. We’re a dedicated team of aviation professionals available 24/7 to give our clients the most all-inclusive and personable experience in the private aviation industry. When working with us, your personal jet charter broker will be available at all times to ensure your needs are met exactly when they need to be. Feel free to call us now for a quote, or just to ask a few questions – consider Amsterdam Jet Charter your comprehensive solution for all things private aviation in the Netherlands. 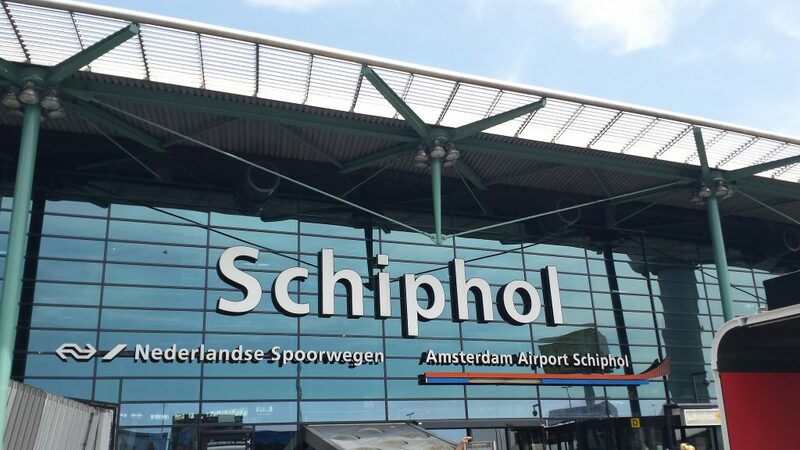 ACA clients typically arrive/depart at (EHAM, AMS) Amsterdam Airport Schiphol, one of the most popular airports in Europe for private and business aviation, and Europe’s third busiest airport in over all traffic. 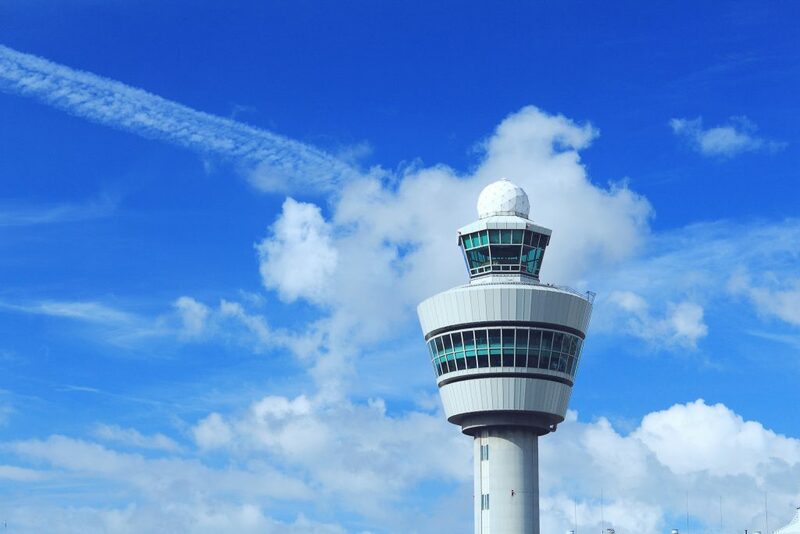 Rotterdam, Lelystad and Den Helder also offer arrival & departure options outside of the city. After providing your trip details to us, one of our brokers can arrange the right aircraft and flight itinerary that suits your goals. ACA Amsterdam has access to the following Wyvern-certified aircraft for your private flight. All of the aircraft we utilize for charter service are operated by FAR Part 135 or 121 (or foreign equivalent) air carriers, using only veteran pilots in the private jet you’re renting. Our Amsterdam Jet Charter team will provide you with a variety of aircraft options based on the goals and budget of your trip, allowing you to charter a cost-effective aircraft, or the most luxurious, stylish corporate jet on the market. Check out our Aircraft Gallery for more details on all of the aircraft available for your trip. 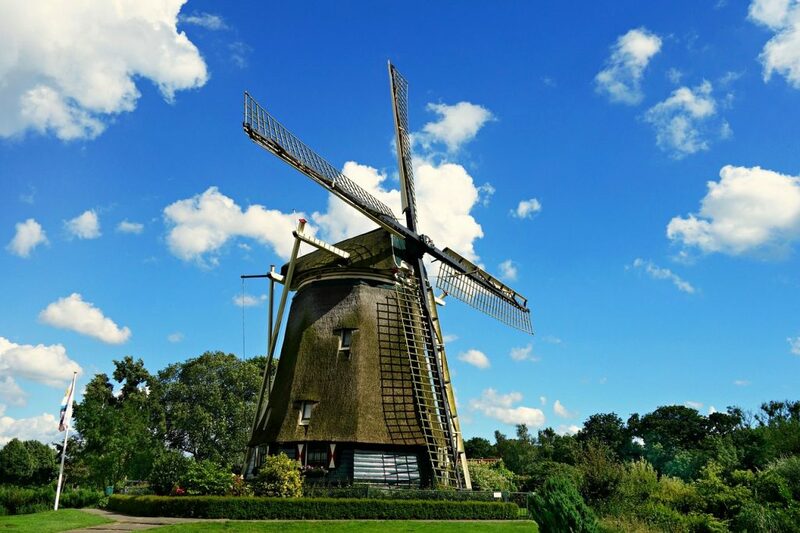 The following are examples of hourly rates for private jet, turbo-prop and helicopter rentals to/from Amsterdam and surrounding areas of the Netherlands. Amsterdam is a popular area for business and leisure aviation, and many operators with transient planes needing to return to Amsterdam offer empty leg charter flights, which may greatly reduce the cost of your flight. Everybody knows about the Dutch capital, which makes it a bit difficult to talk about Amsterdam in a professional capacity without addressing its two most iconic attractions – the famous red light district, and Mary Jane. However, that’s not even close to all there is – despite the negative connotations associated with its most famous “attractions”, Amsterdam boasts one of the highest standards of living on the planet, an excellent social structure that allows biking across the entire city in a half hour, extremely green and beautiful parks, and a friendly albeit straight-talking international population. People from all over the world live here, with some 200 nationalities represented in reasonably even numbers; it’s very cool, and racial tension sits at a minimum. And the fact that drugs and prostitution are legal doesn’t mean the city is seedy, like many might think. It really only indicates a tradition of open-mindedness and moderation in all things, and that can’t really be mimicked elsewhere. The old “foot-in-the-door” argument doesn’t apply here. “If we legalize this, then we’ll have to legalize that!” Not true, and Amsterdam is a shining example of the good that can come from letting people make their own decisions. 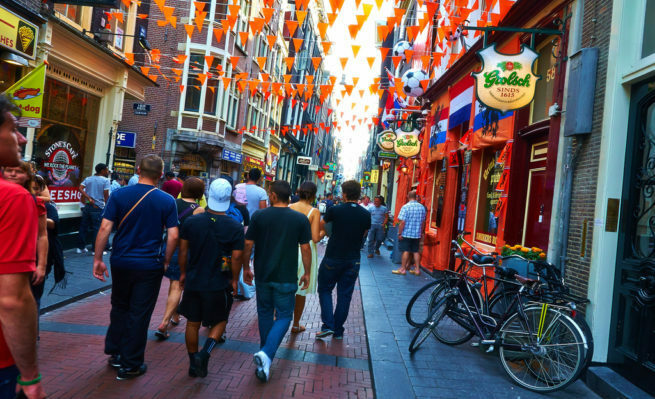 The Dutch locals and expats are known to be sober-minded, pragmatic, and accepting of other cultures. If you’re interested in booking a private flight for your first trip to the area, don’t worry. It’s an incomparable city of cleanliness and orderliness seldom found elsewhere, and it’s an excellent destination for your next private chart flight. Amsterdam is a place of history, much like its sister European capitals. However, unlike its contemporaries, Amsterdam packs all of that history into a wonderfully bite-sized little area. You can literally walk diagonally across the entire city in an hour! If you haven’t already thought of the advantages to this, think about all of the sites you could see in a short time span. Never worry about constraining yourself to a certain amount of time while you peruse the galleries of Dutch Art. Walk a little bit slower as you take in the architecture, and revel in the leisurely atmosphere offered by the ability to see everything in one day. Where you walk will have a big impact on your impression. Prinseneiland neighborhood is famous for its historic feel; you’ll want to go here to see what Amsterdam looked like in the good old days. So set off alone or with a group, walk the canals, try some Bitterballen at a street stall; whatever you do, you’re sure to enjoy it more by walking. Amsterdam has more international business coming in and out than just about any other city in the world – especially via private charter flights. There are only four cities ahead of it according to European Cities Monitor, and they’re all right around the corner – each a member of the European Union. Most companies are choosing to headquarter themselves in the center of the city, often along the canals and main streets. However, one district is attracting more and more businesses every year – Zuidas, otherwise known as the South Axis, is now the acting financial hub of Amsterdam. Most of the industries based in the city deal in electronics, chemical industry, banking, and automobiles. In addition to its major industries, Amsterdam has two major draws for businesses all over the world: it boasts the fourth largest port in all of Europe, as well as Euronext, the world’s oldest stock exchange. Over 6,000 vessels made port in Amsterdam in 2008, generating over €125 million euros for the city; this trend is only set to increase. Euronext deals primarily in cash and derivatives markets, and represented €2.6 trillion in market capitalization in 2014. 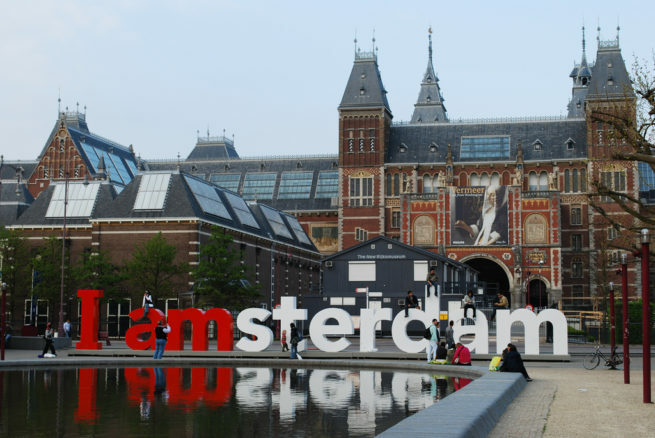 Aside from these monster economic advantages, Amsterdam has a booming tourism industry, and an extremely high standard of living and infrastructure to support all of the visitors. If you have a meeting or conference in the city, then the best way to get there is via luxury private jet. The quiet atmosphere of a private jet will give you the much needed time you need to prepare and take care of last minute details. The expedited customs procedures, gourmet catering, plush interior, and in-flight Wi-Fi will only help to enhance the experience. 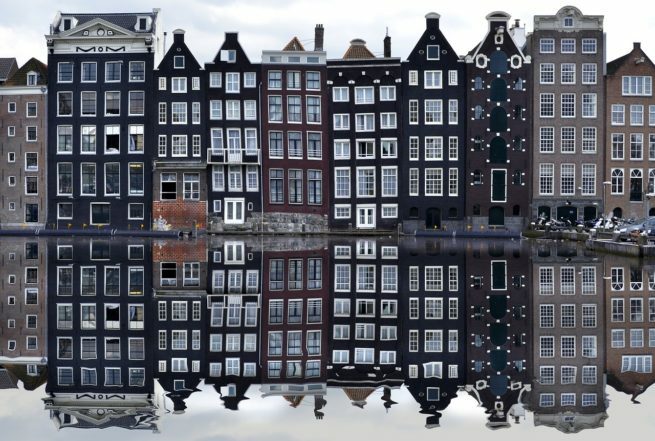 Let us know if you have any questions regarding private chartered flights to Amsterdam. Eating and shopping go together so well here it almost feels sinful, especially in Amsterdam. With everything so close together, it just makes sense to grab a bite to eat on the way to your next shopping destination. It’s almost as if the city was made for this exact purpose. The different shopping districts aren’t prohibitively far from each other, and there are tons of tasty restaurants throughout the in-betweens. Many of our jet charter clients go straight for the top shelf when it comes to shopping. That’s a bit difficult in Amsterdam though, because the variety is so great. In just one shopping district, like Hooftstraat for instance, you can find antiques, concept stores, boutiques, jewelry – all set within splendorous Dutch mansions. Aside from the Porsches and Ferraris lining the sides of Hooftstraat, you’ll notice tons of places to eat – from small and cheap to large and expensive. If you’re in the mood for a nice sit-down meal, you’ll have no shortage of options. But, the local daytime cuisine really shines through its street foods. Moroccan and Turkish, Indonesian and Vietnamese: these foods are all over the place. The list of tasty snacks goes on and on. Bánh mì if you’re feeling like Asian food, or a bit of Hagelslag (buttered toast with chocolate sprinkles) for when your sweet tooth starts acting up. For something a bit more substantial, try out Frikandel, deep-fried sausages that simply shouldn’t be passed up. Amsterdam does luxury extremely well, and our jet charter clients love it. The Dutch love for efficiency, simplicity, and modernity expresses itself in most of the city’s lodging options, and not in a small way. It’s contemporary design and coolly appointed suites all the way in this city. Hard architectural lines flow into beautiful arches, and muted colors match the city’s convivial atmosphere, and the quiet bustling of one of Europe’s smallest capitals breathes life into each structure. It’s not a place for wild nights on the town, though it has the option. It’s a place for walking, looking, and relaxing, and it’s so easy to do each of those things when you stay in the city center. There are, of course, other options. It’s not a stretch to say Amsterdam has some of the most charming boutique hotels in the world, and the bed and breakfasts maintain equal standards. It’s really all about the type of experience you’re looking for. If you want the most out of your trip, though, you’ll want to plan well ahead. If you don’t have an idea of where you want to stay, the list below is a great place to start looking. Our Amsterdam Jet Charter brokers compiled it based on client feedback and online reviews. Read on to check out our list of the best places to stay after a private flight to Amsterdam. There are several options for your arrival airport into Holland, each offering its own atmosphere, amenities, and aircraft accommodations. If you’re planning on flying private from the United States on a heavy jet, you’ll likely be limited to Holland’s main point of entry, (EHAM, AMS) Amsterdam Airport Schiphol, which consistently ranks as one of Europe’s busiest airports and features six runways and is suitable for turbo props, light jets, mid-size jets and long range jets – although, ideal weather conditions may allow the use of a smaller runway. Our clients tend to avoid the bigger airports, opting for the more anonymous, quiet, and personable small airstrips. These smaller airports can generally accommodate light and mid-sized jets. Air Charter Advisors utilizes the following airports to fly clients privately to/from Amsterdam, Netherlands and surrounding areas of Europe. Private aviation allows clients to arrive/depart from more than 10x the number of airports compared to first-class commercial travel. 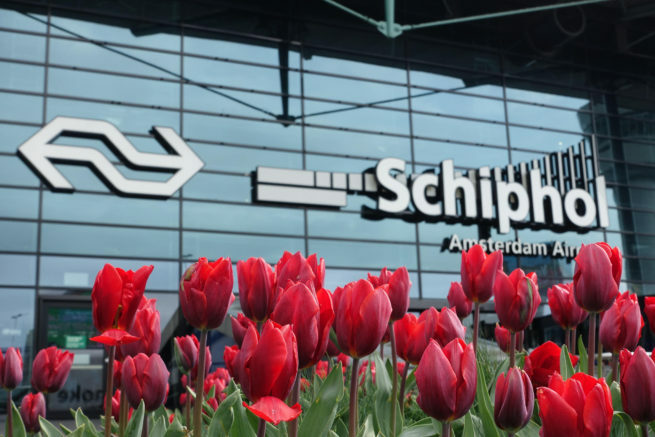 Amsterdam offers several other airport options, and both business and leisure charter flights can utilize the following airports in the Netherlands. Request a Quote or give us a call at 1-888-987-5387 to speak with one of our Amsterdam Private Jet Charter agents for your next luxury vacation, business trip, or special event.